popular Lagos socialite and the brain behind Oladele Golden Autos, Organic Bureau de Change, and Lamardan Global Resources Limited, Akeem Oladele, life indeed has been good to him. 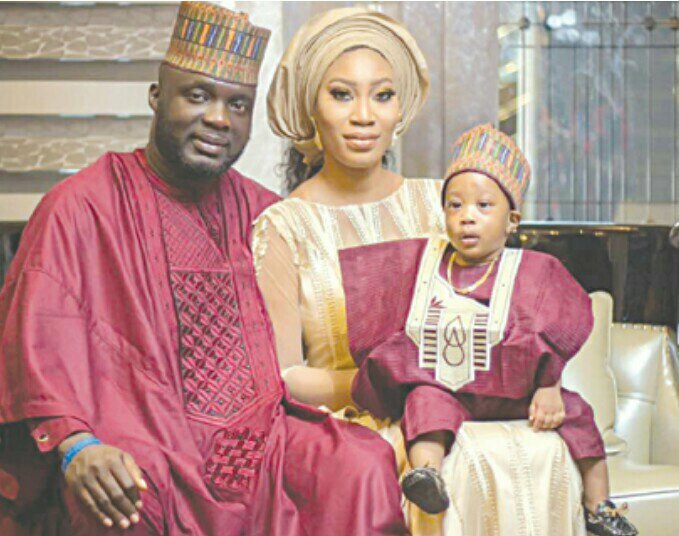 the one-year birthday anniversary of his son, and the grand opening of his eye popping multi-million naira mansion. According to our sources, Akeem Oladele has been looking for ways to surprise his closest pals. And to make it happen, he seized the opportunity offered by his son’s birthday to dedicate his new mansion located at a very serene environment in Ikeja, Lagos State. It was a day filled with fun, as many of Oladele’s friends and business associates in the oil and gas, Forex trading and automobile sector among others, turned up to make the day a very memorable one. There was enough to eat and drink from continental to our local dishes, and drinks were enough that many even forgot they were not in their own home. The list of dignitaries that graced the occasion was endless. They included, Mr Gbenga Oladele popularly known as Germany, of Bukums Projects Development Limited, Gbadebo Oyeyi of Debosco Mottos, Mr & Mrs Abiodun Atilola, Mr & Mrs Farouk Ibrahim, Gbenga Abidoye, Ayo Somorin of Monikab Schools, Samson Aroke, Femi Alade, Jide Salami, Abiodun Oduwole, BJ Emporium Boss Bolaji and Saheed Oladele. Others were Yemi Odutayo, Gbenga Adepoju, Koya Tugbobo, interior Expert Tayo Alao, Tunde Olateju also known as Lexus and Patrick Kale.